Mediterranean berry and fig fragrance with underlying oriental floral scents on a sweet base of vanilla woods capturing the essence of idyllic summer days. 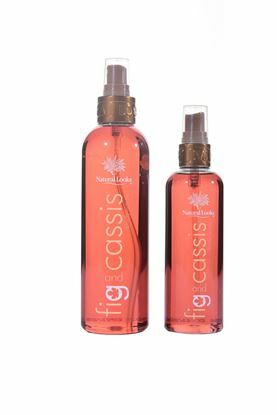 This refreshing mist is designed to cool and perfume the body without drying out the skin. Intensive moisturiser packed full of supplements including fig extract to promote glowing skin. DIRECTIONS: Massage into clean dry skin daily or as often as required. Handy sized, non-sticky, roll on antiperspirant designed to give all day freshness with a light refreshing berry fragrance. Contains natural fig extract to help tone and condition skin. DIRECTIONS: Shake before use. Apply underarms after cleansing. Do not apply to broken skin. Super rich moisturising lotion with sweet almond oil, macadamia oil, shea butter, cocoa butter, aloe vera and fig extract to promote a healthy appearance. Fruity fragrance of Mediterranean berries and figs captures the essence of idyllic summer days. DIRECTIONS: Massage into hands and body daily for smooth, soft and supple skin. Invigorating body wash enhanced with natural fig extract for its natural cleansing and exfoliating properties. Fruity fragrance of Mediterranean berries and figs captures the essence of idyllic summer days. DIRECTIONS: Apply to wet skin, lather over body and rinse with clear water.